Nothing says childhood entertainment quite like a puppet show, and the longest-running marionette theater in the nation delivers, big-time. 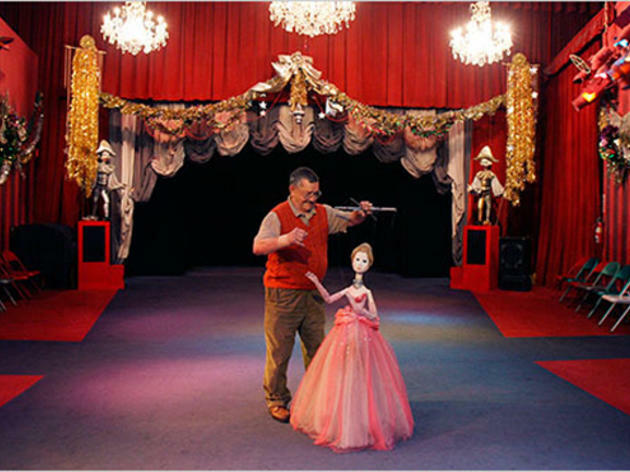 Bob Baker learned about the art of puppetry at just eight years old, and has been making and performing with marionettes since 1945. The kitsch factor is high here—original puppets (some worse for wear), cheesy old songs and ancient decor—but that only adds to the legendary vibe. In fact, it’s been declared a historic cultural monument by the city of Los Angeles, and tykes truly delight in watching the marionettes come to life in the darkened theater space. They can even purchase a puppet of their very own, post-show, after being treated to free ice cream (and coffee for adults), plus a backstage tour. A variety of holiday-themed performances are especially big hits around Halloween and Christmas, and birthday party packages are also available. This place is so fascinating. It's technically for children, but it's been around forever and not much about it strikes me as kid-friendly, from the massive, ancient stage lights that look like they could fall and impale a toddler at any moment, to the terrifying puppets built decades ago, many of which seem worse for wear. But here's the thing—kids LOVE this place. And I love it because it kind of freaks me out—it's creepy and nostalgic and filled with children and I'm simultaneously sad that the Bob Baker heyday is over and proud that I live in a city that's fought so hard to keep this weird LA tradition alive. Also, there's free ice cream and coffee after every show, and if you ask nicely, the puppeteers will give you a backstage tour (so. many. creepy. 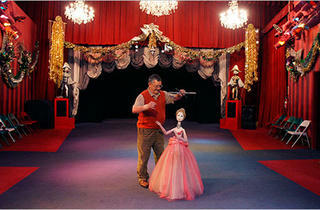 puppets).